Capturing screenshots on your Android, Windows Phone, Apple iPhone, iPad and Blackberry smartphone is easy, only if the method works for you. 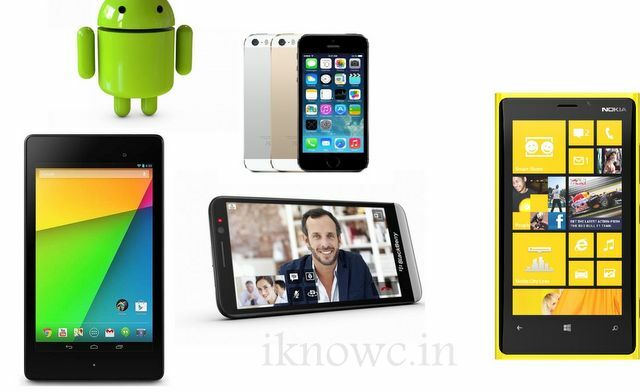 There are many Apps in the apps store of the smartphones to take screen shots. Also there is method to take screen-shots by pressing few hardware keys. It is a simple as taking screen shots in Windows PC. There are two ways of taking screenshots from your phone , either using hardware buttons or by installing app from Play Store etc. There is no need to install any additional software or any app for taking screenshot if you are able to capture the screen by pressing phone buttons. There is no need to root your phone , so you can do it without rooting. Go to the screen which you want to capture. NOW press Power button and Vol Down key at the same time. In Samsung Galaxy handsets you need to press POWER + Home Key OR Menu button + Back Button simultaneously. Screen shots can be found in new folder named as Screenshot in the Gallery. If you phone is running on Android 4.x Jelly bean, you can preview screen shots in notification drawer. In iOS smartphones – iPhone,iPad,iPod. Go to the screen of which you want to take screen shot. Press Power button+ Home Key. Browse the screenshots in Photos then Photo Roll. To capture screenshot on WINDOWS Smartphones such as Nokia Lumia, follow these steps. It works with Windows Phone 8 only, not with 7 or 6. Just Press Power key and Windows Key both at same time. Screenshot BlackBerry 10 and PLAY BOOK. Simply Press Up and Down Key simultaneously. In case “Pressing buttons” method don’t work you can use this method. It will work on All android versions 2.1 Eclair, 2.2 Froyo, 2.3 Gingerbread, 3.0 Honeycomb, Ice cream sandwich 4.0, Jelly bean 4.1 4.2 4.3, 4.4 Kitkat and V5.0 Lollipop +. 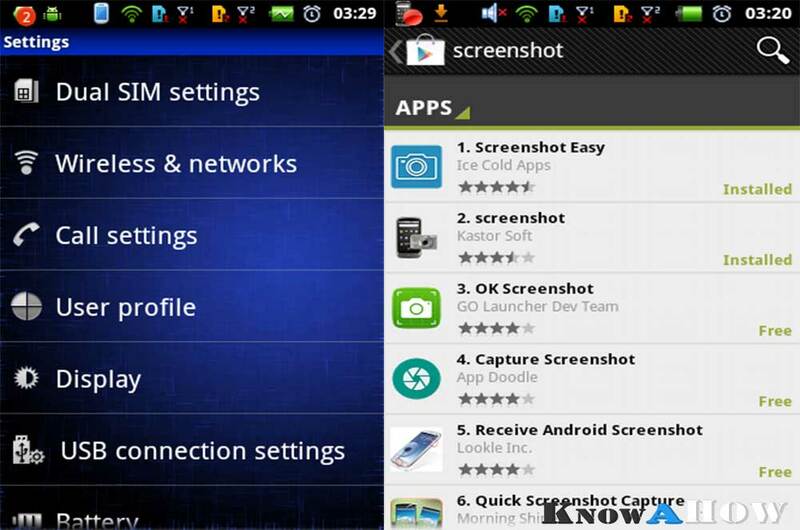 For Android you can go to play store and install screenshot app (capture screen) from Google play store . 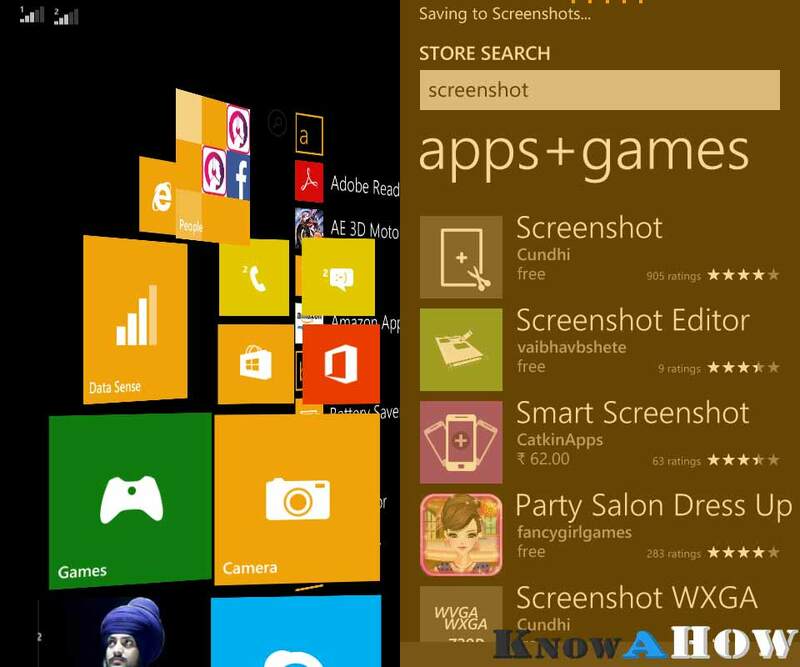 Same can be accomplished in Windows Phone , iPhone, iPad and Blackberry Phones by installing screenshot app from App store. Both the methods (with buttons/ without application or with app ) should work on All android, Windows, Apple, Blackberry devices (any phones / tablets / laptops ) including Amoi, Archos, AT&T, BenQ, Bird, BLU, Casio, Celkon, Dell, Ericsson, Fujitsu, Siemens, Gigabyte, Haier, HTC, i-mate, Icemobile, iNQ, Karbonn, Lava, LG, Maxwest, Micromax, Mitac, Modu, MWg, Neonode, Nokia, O2, Oppo, Palm, Pantech, Philips, Posh, Qtek, Samsung, Sewon, Spice, Tel.Me, Thuraya, Unnecto, verykool, VK, Mobile, Wiko, XCute, XOLO, ZTE, Alcatel , Asus, Benefon, BenQ-Siemens, BlackBerry, Bosch, Cat, Chea, Emporia, Eten, Garmin-Asus, Gionee, HP, Huawei, i-mobile, Innostream, Jolla, Kyocera, Lenovo, Maxon, Meizu, Microsoft, Mitsubishi, Motorola, NEC, NIU, Nvidia, OnePlus, Orange, Panasonic, Parla, Plum, Prestigio, Sagem, Sendo, Sharp, Sonim, T-Mobile, Telit, Toshiba, Vertu, vivo, Vodafone, WND, Xiaomi MI, Yezz, YU, Myphone, Infocus , Cherry Mobile, Generic, iBall, THL, Starmobile , Cloudone, RCA, 5ive, Galaxy, inDigi, K-touch, Cheers, Datawind, Digimac, DiYi, Forme, GFive, Hitech, HPL, i-smart, Jivi, Lemon, Kenxinda, M-Tech, Lima, Maxx, Onida, Sansui , Colors, Salora, Simmtronics, Swingtel, Videocon, VOX, Wynncom, Zync, BSNL, BQ, Adcom, A & K, cloudfone, Torque, 100+, 3Q, 78point, Acer, Allview, Amazon, Apple iPhone , iPad, Bartec Pixavi, Blackview, Bluboo, BungBungame, Caterpillar, Chuwi, Colorfly, Conquest, Coolpad, Cube, Cubot, Dakele, Daway, DEXP, Digoor, Doogee, Doov, Ecoo, Effire, Elephone, Energy Sistem, Eton, Explay, Faea, Fly, General Mobile, Goclever, Goophone, Haipai, Hasee, Highscreen, HiSense, iBerry, iMan, iNew, Innos, iNo Mobile, Intex, iOcean, IUNI, Jiake, JiaYu, Kazam, KingSing, KingZone, Kodak, Kogan, Kolina, Landvo, Laude, Leagoo, Leotec, LeTV, Lumigon, Mann, Manta, Mediacom, Mijue, Mlais, Mogu, MPIE, Mstar, Neken, Neo, Newman, Nibiru, No.1, O+, Obi, Onda, Orgtec, Orientphone, Otium, Oukitel, Phicomm, PiPO, Polaroid, Q-Mobile, QMobile, Qumo, Ramos, Revo, Runbo, Saygus, Senseit, Siswoo, SK-Phone, Smartisan, Sony Ericsson, Subor, TCL, Teclast, Tengda, Texet, Tianhe, Turbo, Ulefone, UMi, Uniscope, Unistar, Vaio, ViewSonic, Vifocal, VKworld, Voto, Voyo, Vtel, Walton, Wexler, Wickedleak, Wico, Yota Devices, Zeaplus, Zopo and other Chinese phones. For other BlackBerry OS you need to install third-party app, “CAPTURE IT”. To take screen shots in Android mobile phones / iPhones / iPad you can also download screenshot app from Google Play store and Apple APP store respectively ( EASY ). If you are unable to take screenshots by pressing hardware keys you should install app . BE HAPPY AND CAPTURE SCREEN SHOT. Kindly , Follow the above steps.